Samsung has launched the highest variant of the Galaxy S8+ in India. The Galaxy S8+ with 6GB of RAM and 128GB of internal storage will be available across India from June 9. The smartphone carries a price tag of Rs 74,900. Additionally, the new variant will be available in Midnight Black color. You can pre-book the high-end Galaxy S8+ on Samsung Shop and Flipkart starting from June 2. As part of the introductory offer, Samsung is offering a wireless charger with the Galaxy S8+ 6GB version for free. The Samsung Galaxy S8 and Galaxy S8+ were first launched in India in April and went on sale in the month gone by. With prices starting at Rs 57,900 and 64,900 respectively, only the base models of the flagship smartphones were available so far. While the new Galaxy S8+ model gets a bump in RAM and storage, it houses the Exynos 8895 octa-core processor. “The resounding success of the recently launched Galaxy S8 and Galaxy S8+ underscores the unmatched superiority of Samsung in the premium smartphone segment. The new Galaxy S8+ variant with its best in class 6GB RAM and 128GB internal memory, will give our consumers the freedom to do infinitely more. It is the ultimate device for power users who aspire to explore new possibilities, are always on top of their game and for whom multi-tasking is a way of life,” said Asim Warsi, Senior Vice President, Mobile Business, Samsung India. The Samsung Galaxy S8+ features a 6.2-inch Super AMOLED display with QHD resolution and Corning Gorilla Glass 5 on top for protection. In addition to the newest 6GB and 128GB model, the base model of the Galaxy S8+ includes 4GB of RAM and 64GB of internal storage with support for microSD card for storage expansion up to 256GB. 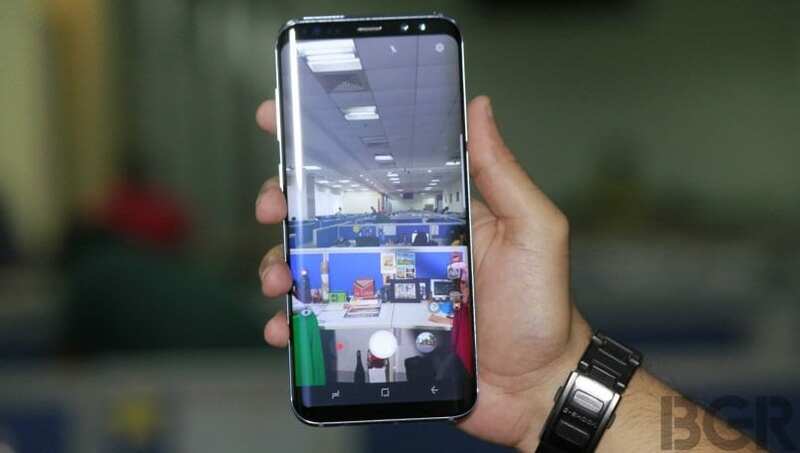 For photography, the Samsung Galaxy S8+ features a 12-megapixel dual-pixel rear camera with f/1.7 aperture along with an 8-megapixel smart auto-focus front camera. On the software front, it runs Android 7.0 Nougat-based TouchWiz UI. It is fuelled by a 3,500mAh battery. Other key features of the Galaxy S8+ series include an Always On display and IP68 water and dust resistance capabilities.